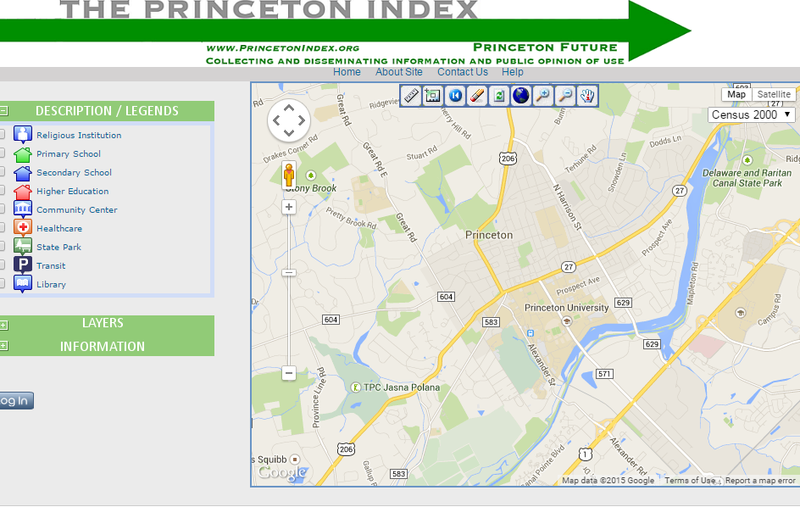 Princeton has experienced shifts in the racial makeup of their residents over the past three decades. 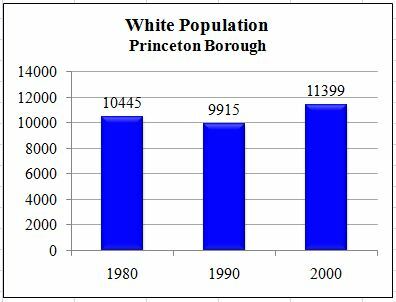 Specifically, these changes are seen in African American, Asian, and Hispanic populations. 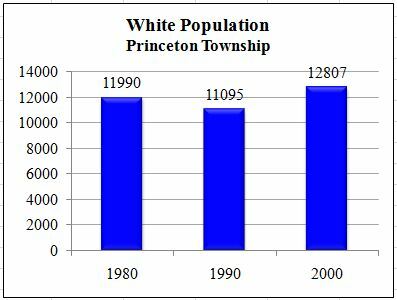 The graphs illustrate population count from 1980, 1990, and 2000 Census data for Princeton Borough and Princeton Township.